This Wise Blend crew is a must have this season. 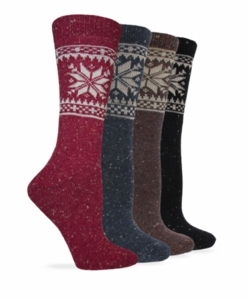 Classic wool sock to keep your feet warm and comfortable. This sock has a beautiful snowflake pattern. *Black, fuchsia, and denim options shown in image are sold out.